© Christian Artuso. Location: Sucumbíos, Ecuador. "This individual flew to a beam in a well-lit open dining area in one of Ecuador's Amazon rainforest lodges along the Napo River (well past midnight when all the 'sensible' guests were asleep). 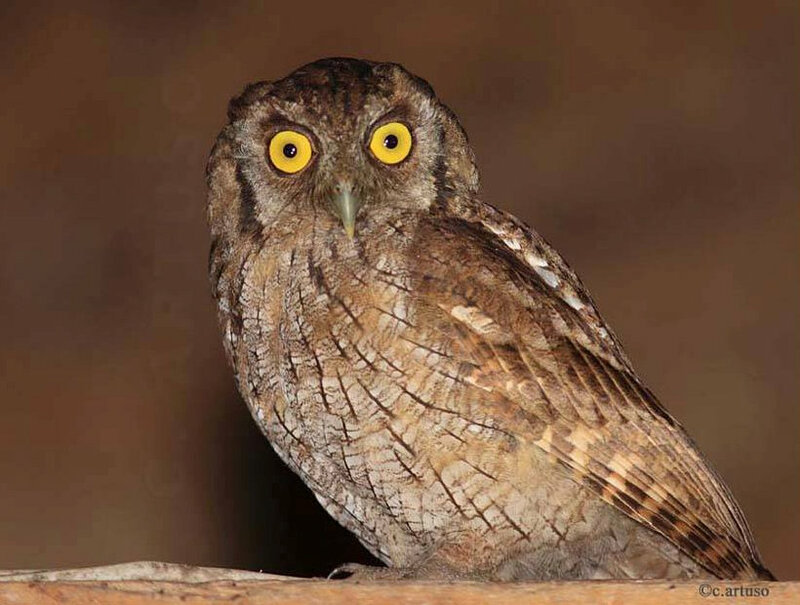 As is so often the case, the owl was attracted to the lights to hunt moths and other insects."